This week, we are treating YOU mamas! We are starting with a new PILLOW!! We have had a Technogel pillow for a while now. We wrote a review HERE. I will be honest, I am a pillow hoarder. I have 10 pillows, and used to sleep on 3-4 pillows at once. I would frequently wake up with a sore neck and not well rested. I have been using the Technogel pillow on its own for over a month. That is right, I replaced my 3-4 pillows with one. I never thought I would be able to, and this pillow is just that amazing! The bed is for sleeping. Not for watching TV, surfing the web, or working. Try to go to bed at the same time every night. Wake up at the same time every morning. A cool head is a MUST for me as well, and the Technogel Pillow keeps my head cool-- all night long! 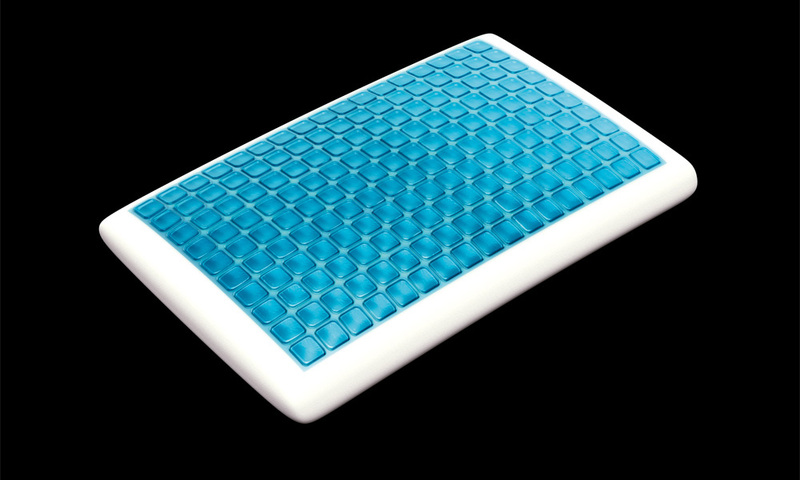 Enter below for your choice of a Technogel Pillow. I use the Deluxe Pillow, but the way you sleep will determine which is best for you! I would love to get the Contour Pillow because I wake up almost every morning with a stiff neck! The anatomic pillow would be best for me. I am not afraid to say I am a pillow freak! LOL I have a bunch and a body pillow too! This one sounds great! I would like the deluxe I think. I'm a side sleeper and have severe shoulder pain so the Anatomic is best for me. I think the Anatomic would be great for my stiff neck and shoulders! I'm not sure, either the Anatomic or the Deluxe. I'd let my mom pick but the Deluxe looks great. Thanks for the post. The countour sounds like it might work the best for me. Contour. Thanks for the opportunity. I could use the anatomic pillow! the contour pillow would be best for me. I like the contour pillow. The contour pillow would be the best for me. Thanks for this awesome giveaway! I think the deluxe would be best for me because I like my pillows to be a bit thicker and this looks just right! I definitely feel the deluxe pillow is best for me because I like thick pillows and I sleep primarily in lateral position. Perfect! The Anatomic would be great! Thanks so much for the fantastic giveaway! I'd like the classic since it looks flatter and I often sleep on my back. the contour pillow, i have a bad neck. The Anatomic would be best for me. I like the Anatomic pillow. I've wanted one of these for so long! The Anatomic is definitely the one designed for ME! Thanks! Great giveaway. (P.S. saw this giveaway first on your FB page - where I already Liked & Shared it! The Deluxe looks really comfy. I would like to have the Classic pillow! I think the Anatomic Pillow would best suit me. I like the Anatomic the best since it looks like it's best shaped to the contours of the neck. The contour pillow would work for me! I want the anatomic pillow! It sounds perfect! The contour pillow would be perfect! I need the Anatomic as I sleep on my side. I think the Classic or the Deluxe. I prefer their traditional shape. I too am a side sleeper, so I believe the Anatomic would be best. I'd like the anatomic pillow! I really need a new pillow. Anatomic - I am a side sleeper. I really would love one of these as you know I have serious shoulder issues after my replacement so I wonder if it would help. I'd go with the Anatomic. I would love the deluxe. Anatomic is best for me, I think. The Anatomic pillow would be perfect for me. The contour pillow makes me smiles!